Recently, Banda Health and BethanyKids rolled out a new IT solution that improves care for kids with disabilities in Africa and beyond. 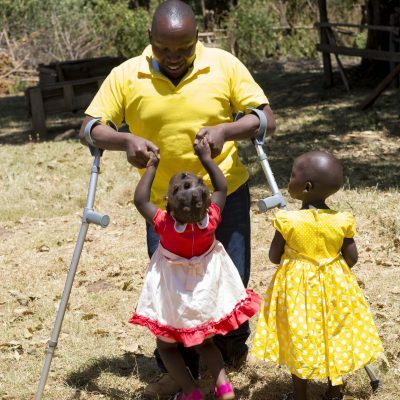 Since 2001, BethanyKids has been filling the gaps in low-resource healthcare for children with disabilities living in Africa. Banda Health builds IT solutions for healthcare heroes like these who are working in these settings, where patients need them most. 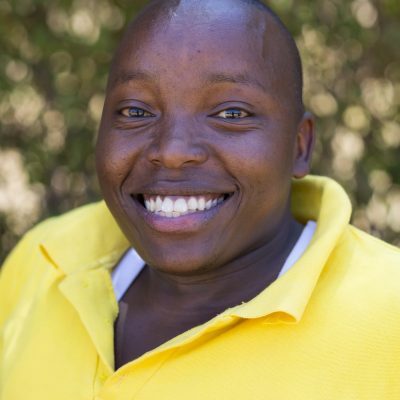 Billy Nganga, the data manager at BethanyKids, is one of those heroes. Billy left a higher paying job to come and work with BethanyKids because he knew what a difference healthcare heroes can make to the patients who need them most. That’s because Billy was one of those patients. Billy was born with spina bifida. By the time he turned 25, he had had over 40 operations. He used a wheelchair until he was seven, and today he still needs two crutches to move around. None of that stopped him from excelling in school, getting his college degree in computer programming and statistics, landing a well-paid position with the Kenya Information and Communication Technology Authority, and then giving up that comfortable position to go work for BethanyKids – the organization that had given him and his family hope years before. Now, Billy runs the team collecting patient information and surgery data at BethanyKids in Kenya. Collecting, organizing and analyzing medical information with a 15-year-old glorified spreadsheet and a tight budget is a struggle, to put it delicately. The data Billy and his team have painstakingly put together at BethanyKids in Kijabe, Kenya is critical to providing care for kids like Billy each year. But the current database has long since been unable to keep up with the needs at Kijabe and the 13 mobile clinics around Kenya, much less BethanyKid’s five other pediatric surgery programs across the continent. With Billy’s input, Banda Health designed and implemented an easy-to-use, powerful medical records and clinical database system at BethanyKids. Handling large amounts of medical information quickly and easily enables BethanyKids to drive improvement to care and fundraising at an entirely new level – meaning they can provide better healthcare to more patients. BethanyKids is rolling out this system in their largest site (at Kijabe Hospital in Kenya). In the future, they hope to extend the system to all of their pediatric surgery care centers across Africa. Twice a week Billy hosts “Talks on the Ward.” He spends times with moms and their kids. He encourages them to come back for follow-up after their operations. He educates them on wound care, and about local programs offering services for their child. But mostly he embodies hope for them - he has been where their child is, faced too many operations to count, dealt with stares, whispers and blunt questions. And here he is in front of them, working every day to give their kids a chance, with that warm and easy smile. When we partner with healthcare heroes like Billy and the BethanyKids team to build elegant, powerful IT solutions, we unleash a force for hope, for healing and for life in the world’s most resource-challenged communities. If that excites you, join us. Donate to fund the development of more IT solutions like this one. Wear out a keyboard or two coding for us by joining our developer team. Tell your friends about us. Tell your friends about Billy and BethanyKids. Be a part of a group of people from around the world passionate about empowering healthcare heroes in low-resource settings. If you have any questions or want to talk more about Banda Health, get in touch with us. We’d love to hear from you!